LARP warriors will find many unique pieces for their role-play scenario in the wholesale LARP accessories offered by LARP Distribution. LARP ensembles can receive a fantasy twist with the variety of shrunken heads and trophy necklaces featuring parts from beings like elves, dwarves, goblins, and orcs. Alternately, historical LARPers will appreciate more traditional wholesale LARP supplies like Roman camp items, leather diaries, and period locks and handcuffs. Regardless, these wholesale character accessories can help any LARP experience feel complete! LARP Distribution has a variety of wholesale leather belts and baldrics in an assortment of medieval, fantasy, and Renaissance designs. 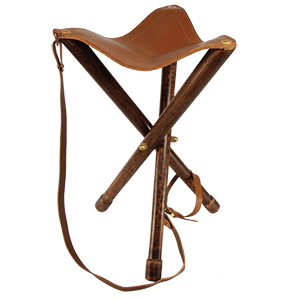 Shop here for leather ring belts, leather buckle belts, and broad belts made of real, high quality leather. 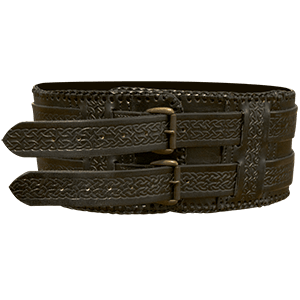 Our leather belts are essential accessories for any medieval reenactment or LARP look. We offer leather belts in versatile colors, black and brown. 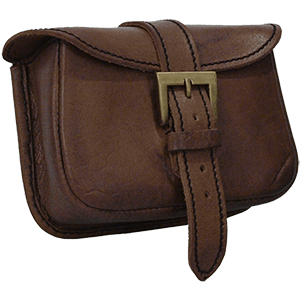 Check out everything from leather utility belts and kids leather belts to Roman belts, pirate belts, and even steampunk belts. LARP Distribution carries a number of leather LARP and reenactment accessories that will appeal to a wide variety of customers. 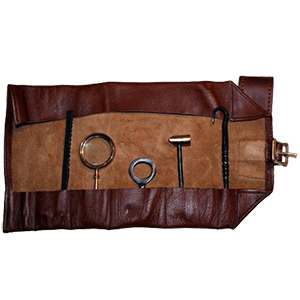 Here you will find medieval leather bracelets and leather journals alongside cutlery sets, telescopes, and compasses that come with their own leather carrying pouches. This category has all sorts of details that any LARPer would want in their pack or accessorizing their look. These wholesale LARP accessories can add the perfect touch to many historical and fantasy ensembles. We offer leather LARP accessories in styles that range from Elven to Viking and everything in between, making them suitable for a variety of characters. 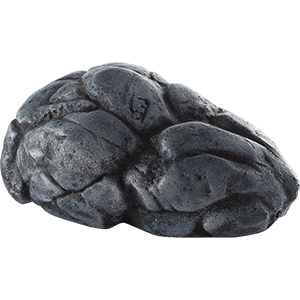 At LARP Distribution, our wholesale LARP game props are items that add extra detail, authenticity, or fun to live action roleplay experiences. Here you will find everything from unconventional throwing weapons like rocks, mugs, and rolling pins made of latex-foam to LARP props like skeletons and skulls that add unique detail to the environment. 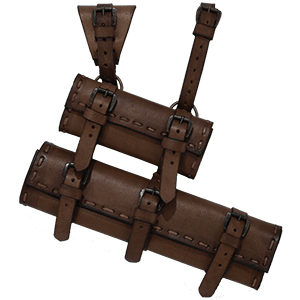 Our wholesale game props are great additions to any LARP game, making this category the perfect place to search when looking for something to set your LARP gear or event setting apart.